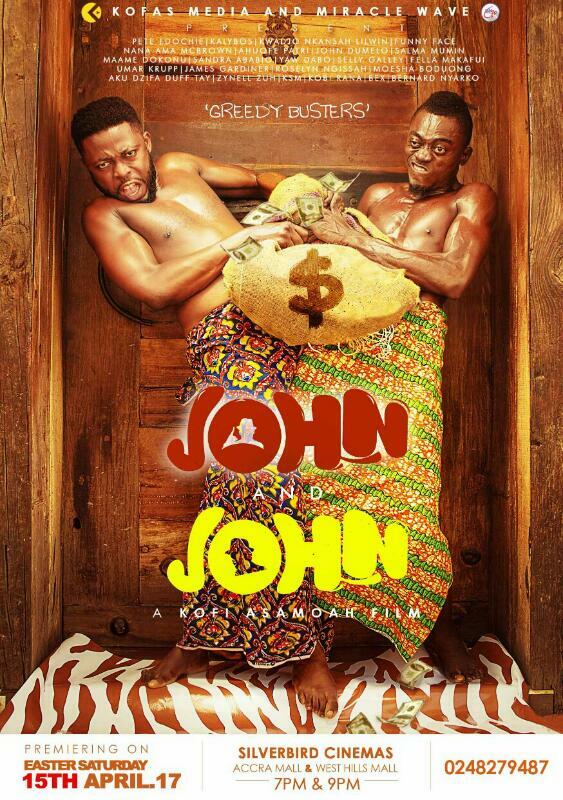 Kofas Media, producers of new rib-cracking movie dubbed ‘John and John’ is out with the official posters for the movie. 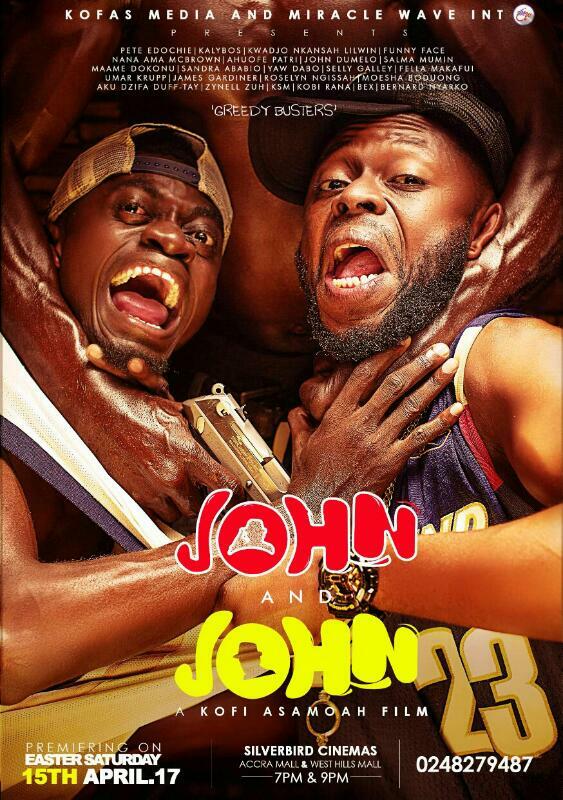 The hilarious movie which will be premiered at Silverbird Cinema on Saturday, April 15, 2017, features Kalybos and Kojo Nkansah Lil Win as the lead characters, veteran actor from Nigeria-Pete Edochie, Funny Face, KSM, Maame Dokono, Ahoufe Patri, John Dumelo, James Gardiner, Kobi Rana, Yaw Dabo, Nana Ama McBrown, Salma Mumin, Fella Makafui, Moesha Boduong, Roselyn Ngissah , Selly Gally, Bishop Benard Nyarko, Zynel Zuh, Umar Krupp and others. Kofi Asamoah, CEO of Kofas Media has revealed that the entire cost for the upcoming movie is estimated at about $150,000.